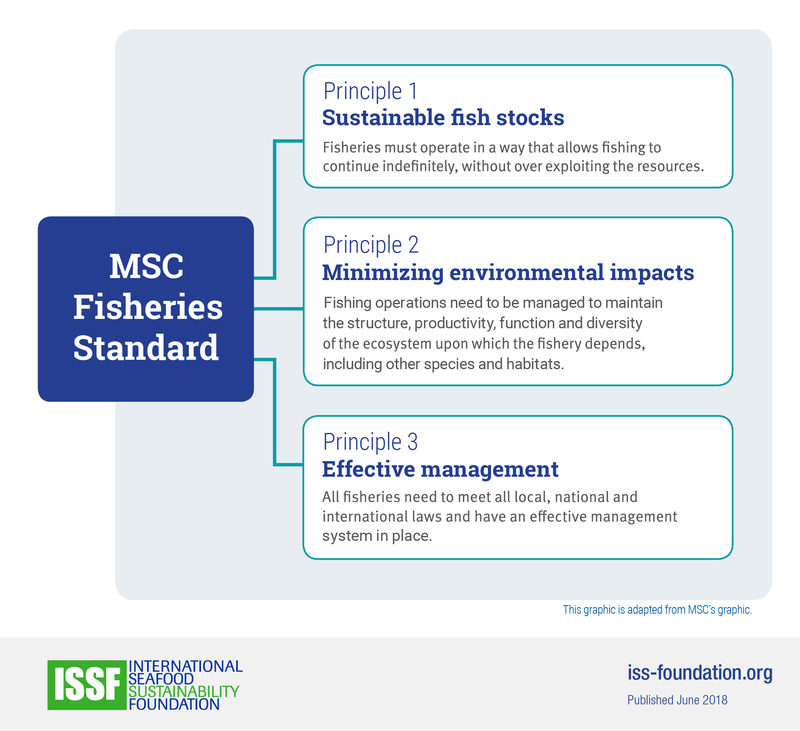 This infographic, from the Fisheries Improvement section of our site, shows the high-level principles that make up the Marine Stewardship Council (MSC) Fisheries Standard. Fisheries that are seeking MSC certification — which includes those in fisheries improvement projects (FIPs) — are assessed by MSC against this standard. We also have an infographic that shows the performance indicators under each principles.